Superman may be the first superhero, but he’s also one of the least popular. From his spit-curled and square-jawed visage to his ability to move faster than a speeding bullet, Superman is the perfect defender of justice. That also makes him perfectly boring. In an age of sophisticated comics readers, and the wonderfully conflicted and nuanced heroes they demand, the guy known as the Big Blue Boy Scout doesn’t have much to offer. Growing up, I always preferred Green Lantern and Batman to Superman, but over the years I’ve found a few great stories that even the most jaded nerd will enjoy. In honor of the premiere of Man of Steel, here are five depictions of Superman that helped me take him seriously. Hopefully they’ll give you a new appreciation for the Metropolis Kid too. If you’re having trouble taking a guy who wears blue tights and a cape seriously, this might be a good place to start. You don’t have to love Superman to find the idea of turning him into a Soviet dictator entertaining. In this re-imagined tale, Kal-El’s rocket lands on a Soviet collective instead of the Kents’ farm, leaving him to grow up under the wing of that other Man of Steel, Joseph Stalin. The concept isn’t just amusing, it’s well-executed. Writer Mark Millar rearranges the entire DC Universe around Superman’s change of allegiance, with tweaked versions of familiar characters both real and historical. 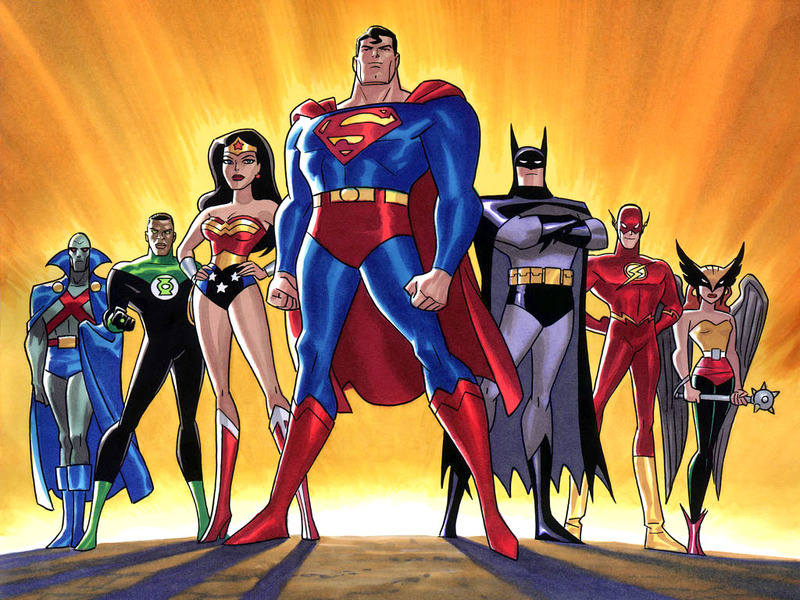 For some reason, DC has always been able to produce great animated versions of its characters. Justice League (and the expanded Justice League Unlimited) is a case in point. Predictably, Superman becomes the de facto leader of the team, but he actually seems like a good choice for the role. He’s cool and affable, not just a strong man with a rigid Henry Manly-esque sense of honor. Putting Superman amongst his superhero peers also takes him down a peg. With Batman, Wonder Woman, and others around to question some of his not-so-super judgment calls, we see that the Man of Steel isn’t infallible. Like Red Son, Kingdom Come out-of-continuity story, but it’s grimly realistic. In the near future world of Kingdom Come, the perpetual battles between superheroes and supervillains are starting to wear on humanity, and Superman is called on to reign in both sides. This is Superman when he’s done playing nice; he’s not just enforcing order, he’s creating it. It’s a more serious focus on the character that focuses on the decisions that are normally glossed over in his quest for truth, justice, and the American Way. 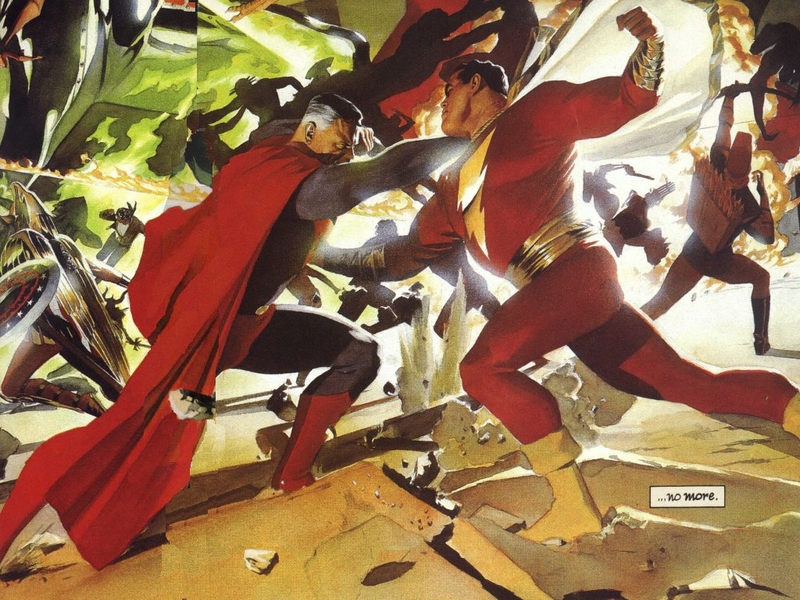 If that’s not enough, there’s also spectacular artwork by Alex Ross and an epic fight between Superman and Captain Marvel, which is highly appropriate given the two characters’ intertwined history. It’s not necessary to read all of Grounded, the last story arc before Superman was redesigned for the “New 52,” just the first four issues. They focus on Superman taking a walk across America, meeting real people and real problems. After Kryptonian survivors prove they can’t live happily ever after on Earth in War of the Supermen, ordinary humans are starting to resent Kal-El’s presence. After all, even with Superman around, the world is a pretty terrible place. Plus, he causes a lot of collateral damage. Comics sometimes have trouble addressing real world issues, but Grounded does better than most. It shows the obvious dichotomy between the existential threats that superheroes regularly deal with and the more mundane crimes they often don’t have time for. Grounded also highlights an important truth about Superman. 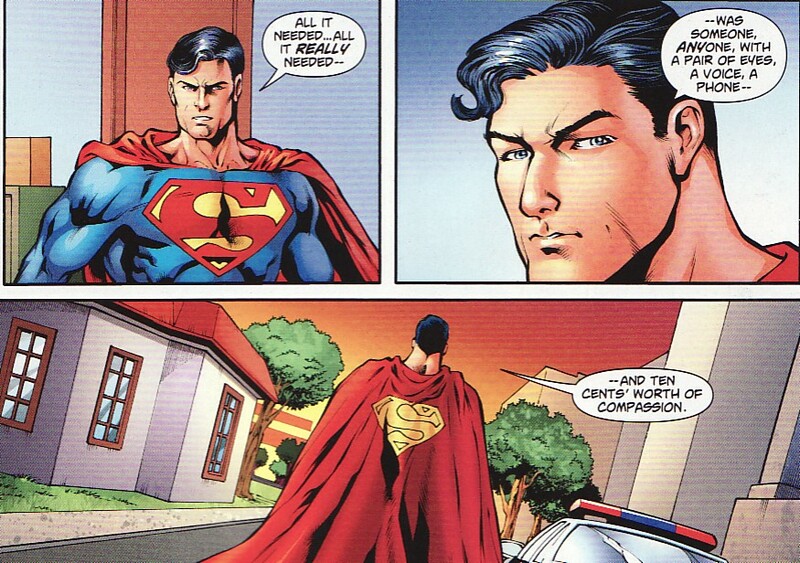 After rescuing a child from an abusive father (in issue 705), he tells police that the only thing needed to stop the abuse was,“someone, anyone, with a pair of eyes, a voice, a phone and ten cents’ worth of compassion.” Like anyone else confronted with such a situation, once Superman knew it was happening, he knew what needed to be done. Superman’s reflexive do-gooderism can be annoying sometimes, but here it works. We see that Superman has the same sense of right and wrong as most people; he’s just in a better position to act on it. 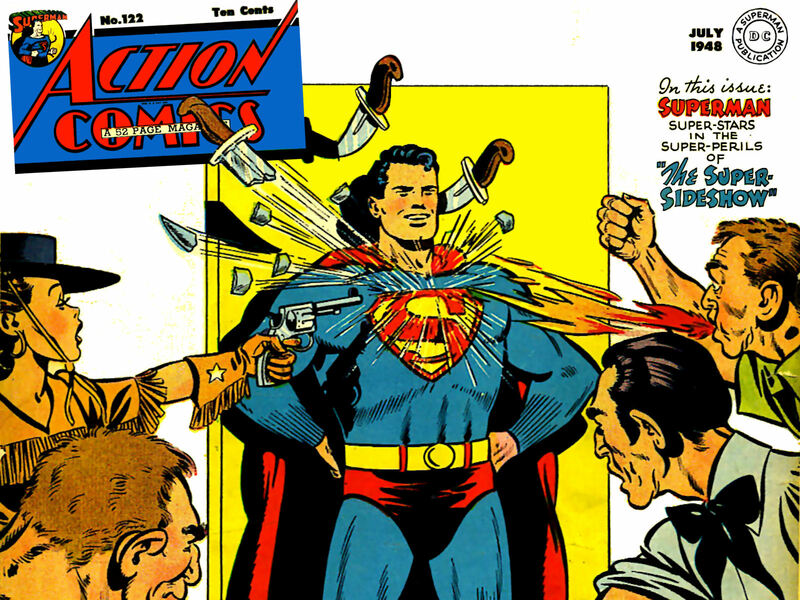 Of course, what really makes Superman great isn’t his corn-fed characterization, it’s his powers. 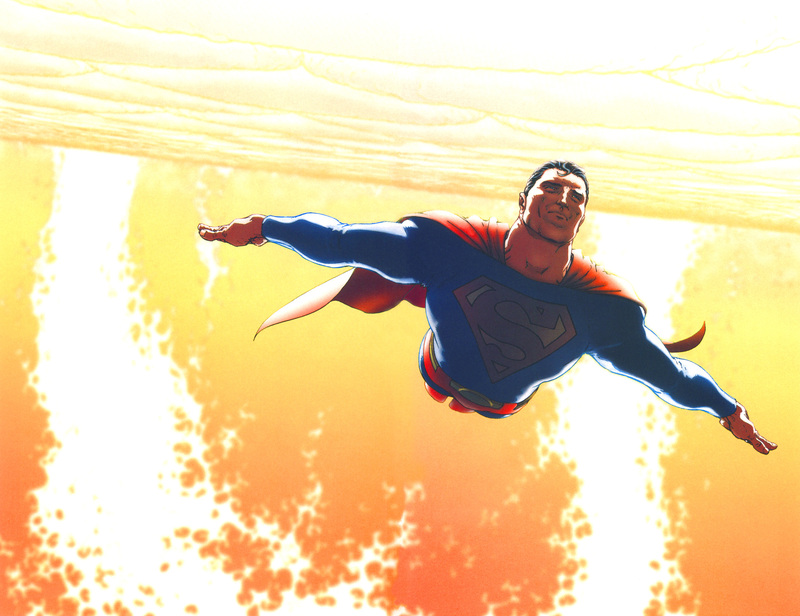 Grant Morrison’s All-Star Superman throws out origins and conflicts, and just focuses on Superman using his superpowers to do amazing things. In this out-of-continuity story, a fatal radiation exposure leaves Superman with one year to live, and he decides to make the most of it. He performs 12 Herculean labors, including answering the Unanswerable Question and curing cancer. Sometimes it’s nice to see Superman being just, well, super. After all, that’s what made him, and the entire superhero genre, when he first flashed his “S” symbol on the cover of a comic 75 years ago.